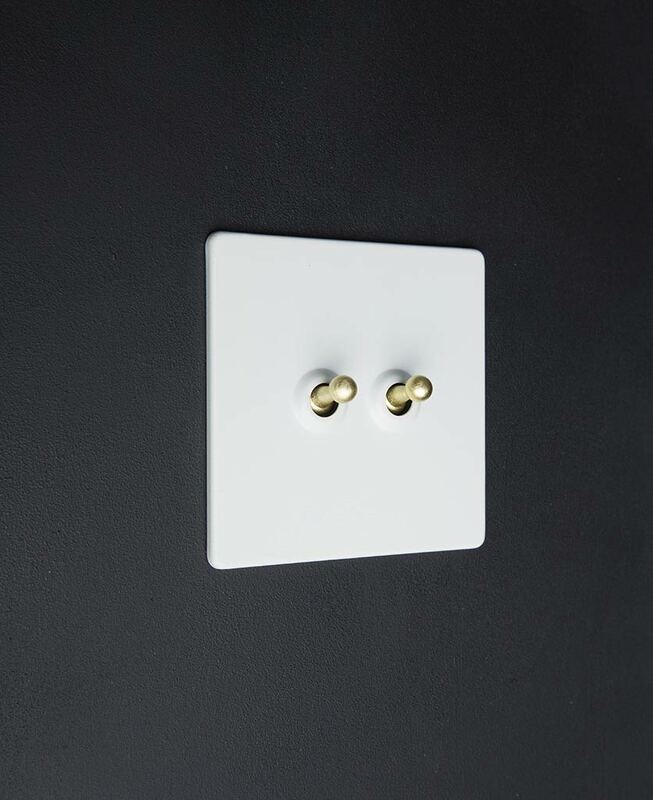 If you’re a fan of the Bauhaus ‘form follows function’ design ethic then you’ll absolutely love this light switch… Our white double toggle light switch has two simple toggles, available in black, gold, white or silver, and is the ultimate in utilitarian-industrial design. It works like a dream; a toggle switch with a highly satisfying ‘on / off’ action that looks super-stylish on your wall. Winner. 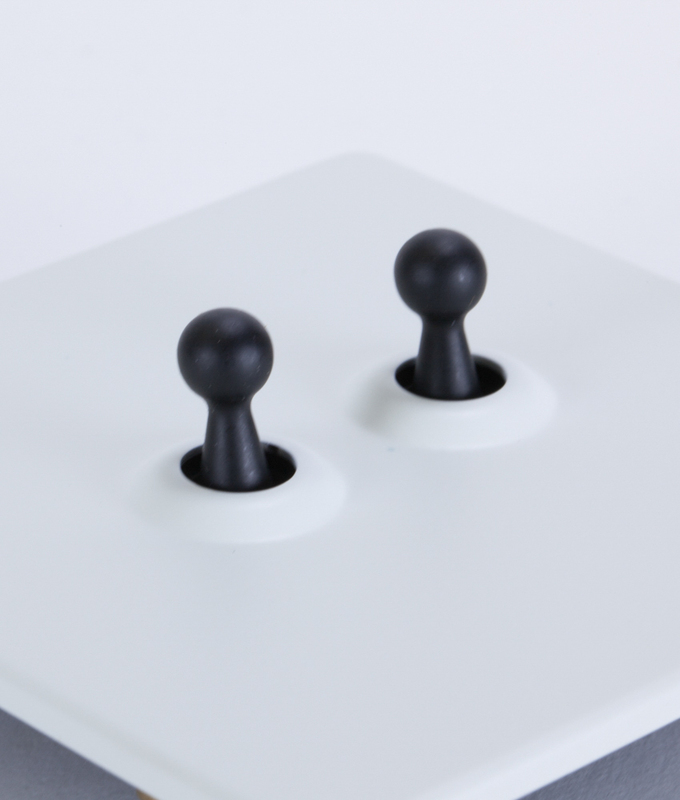 If you’re searching for cool contemporary toggle switches… Our white double toggle light switch could be just what you’re looking for. Chic and understated this vintage style light switch is an exceptionally cool way to turn your lights on and off – but it’s still very much in the retro industrial style. Not too neat and perfect. 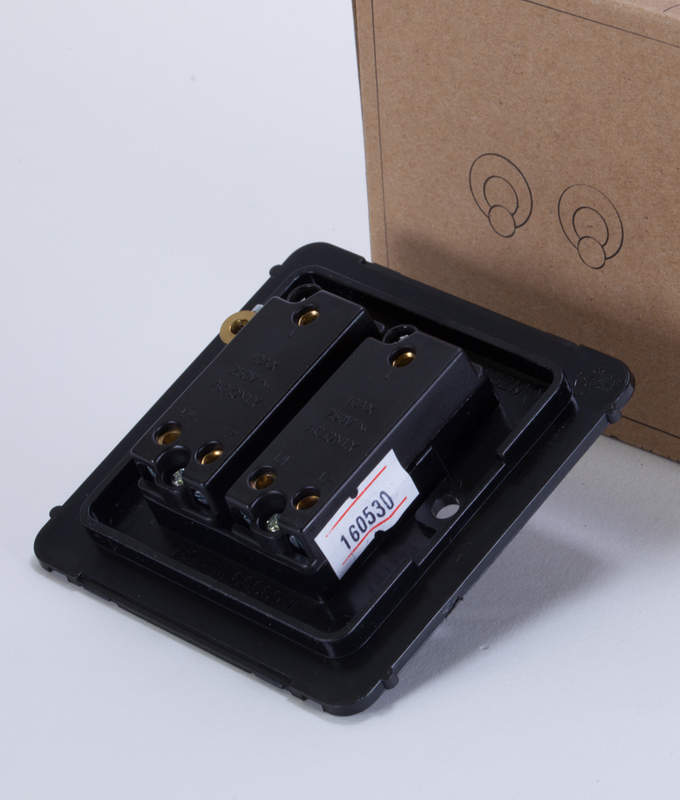 Once you’ve used our 2 gang toggle switches you’ll wish you’d installed them sooner. And we’re pretty confident you’ll never return to bog standard light switches again. In fact, we really hope to see you back for more. We looked everywhere for good quality affordable designer light switches before creating our very own exclusive range. We wanted to source the perfect co-ordinating light switches and plug sockets to go in our industrial style interiors; switches and sockets that are a little edgier and more individual than you’d find in your local DIY store. All of our toggle switches are just fab with our beautiful vintage light bulbs suspended with fabric cable. If you’ve fallen in love with this double toggle white switch, check out the matching single toggle switch and our other co-ordinating white light switches and plug sockets.